Back in March, I mentioned an upcoming upgrade for Heredis for Mac (what I called Heredis for Mac 2012). I included a Heredis for Mac gallery as well from screenshots posted on the Heredis site. 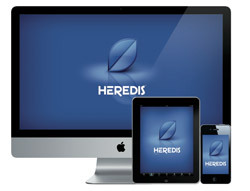 Well the upgrade is finally here, and really it’s a completely new version of Heredis for Mac. They’ve not only released Heredis for Mac 2.0 today, they’ve also simultaneously released Free iOS versions of Heredis for both iPhone/iPod touch, and the iPad in Apple’s iTunes store (links at the bottom of the article). A PC version that synchronizes with the Mac and iOS versions will be available July 4, 2012. 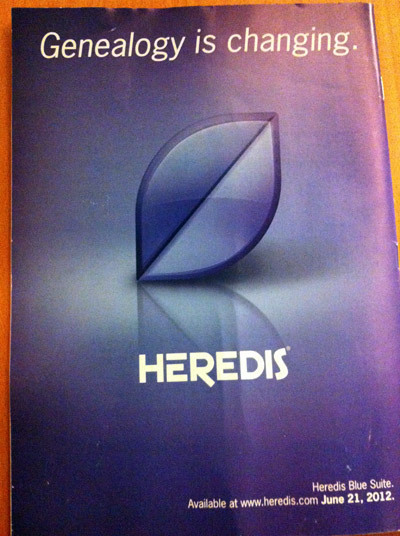 There is a trial version available for download at Heredis.com. Our objective is to offer to genealogists a software program which is very different to what already exists. This version is based on the principle that Heredis should always be easy to pick up and use. Our motto has been “Genealogy made easy” for many years. I have posted screenshots from an early beta of Heredis, and they closely resemble what you see with the final release version. I’ll be putting together my own screenshots and information/review in the next week. – Customized/adaptable to your habits, using a drag and drop interface. – Extensively tested in several countries and several languages. That’s just around 14 of the prices – you will need to check the Heredis.com Website for pricing if your currency/country is not listed.